Once again, the fabulous beachfront Island Inn Sanibel has put together a shelling vacation package of a lifetime so we can shell together and get to know each other in real live person. It will be soooo exciting to meet y’all! Island Inn has been the perfect setting for us since it has kept the unique feel of “old Florida charm” with a rich history of seashells. This was where the Sanibel Shell Fair and Show was first started. So this all starts at our home base at Island Inn with awesome accommodations right on their private beach. This time we’ll kick off this adventure with a Shellabaloo Shelloha Beach Party! … or a cottage that sleeps 6 to 8! For more detailed information and itinerary CLICK HERE. Thank you Island Inn for organizing these events. This is going to be a shell of a good time for all of us! So join in on the fun January 6 – 9, 2014 by calling Island Inn for accommodations pricing and any details and they can answer any of your questions at 800-851-5088. Don’t miss out on the shelladventure of a lifetime! FYI- Remember, This sold out in 36 hours for the January event last year event so don’t wait since there are only 25 spots available. Hope to see you soon! Then we have another Sanibel trip already planned with Kim, Chablis and Moira for August so I can’t do May either…but I swear I will return to a shellabaloo one day!! Kim, Chablis, Moira and I will be there in August , we will have to get together for a lunch or dinner. Of course were going out with Brian and having lunch with him too!! For those who have not done a Shellabaloo, let me tell you….it is a trip to remember!!! Hubby and I did the very first Shellabaloo and it was sooo much fun and met the most wonderful people. A trip with lifetime memories!! So if you haven’t done a Shellabaloo…GO FOR IT…DO IT….YOU WILL LOVE IT!!!!! OMG..I’m so excited!! I just tried to get the Island Inn now but, their not there in reservations. First thing in the morning I’m calling and making reservations. For the last 4 yrs. we’re been on Sanibel the last week of Sept. for my birthday but, this Sept. we couldn’t come. My husband always finds me a nice big shell for my BD. He’ll have to buy me a birthday shell this time. Omg Barbara! Yes! It will be so much fun to spend 4 days together!!! Waaahooooo!!!! I am so jealous when I see all those wonderful PEN shells on your beach. I’m collecting even broken ones to do a wall (with other shells) in back yard. should be interesting as we are still in desert mode in high 100’s. IF I ever get it done I’ll sen a picture. Does the Shellabaloo cost of $430 include the room costs, or no? Oh if there is Im in on that!! Wahoo!! The room cost is in addition. That is for lots of meals and lots of fun shelling entertainment! Oh gosh sorry, I didnt see your question, Elna… Yes! January 3 from 9 to noon! Joins us! unfotunately There is no other course/Cruise Mid of January 2014. Greetings from Germany. I love shelling, however I am a Fort Myers Resident and will not need a room. Any options for us locals who would like to meet like minded shellers? I planned our family vacation to end up in Sanibel. So smart! We’ll be seeing ya’ll on the 3rd. I’m so happy! What are the dates of your upcoming Shellabaloos? I need to start saving some sand”dollars”. Hi Donna, not sure of the dates of the next one yet but I will def announce it here on my lbog when I know it. Im just too excited for the next one Jnauary 6!!! PAM! if one can only attend one Shellaballoo, is April a good time to do it (from the shell perspective!)? Or should I wait for a better time (which is?)? Thanks. 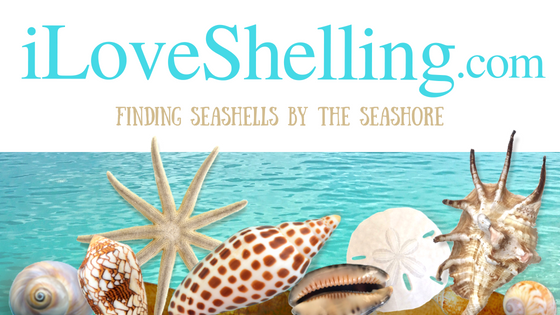 I wouldn’t plan a Shellabaloo event any time that I didn’t think that it would be a good time to find shells. Each Shellabaloo has been unique and different… just like every shell… just like every day shelling… just like every day the beach changes. There is much to be considered in planning a special event like this so we can’t plan on dates too far in advanced. You never know what can happen in the future… things could change. So just like each day on the beach, you may find hundreds of wentletraps on the beach so you may assume you will always find wentletraps there. No. They can swept away and might not be seen for years again.